A look at what the 13 women in BT's elite list have been up to recently. In January, her company's partnership with Mylan helped launch a biosimilar and a targeted therapy to treat certain types of breast cancers in India, a first of its kind in the world. In June, she became the fourth Indian to be awarded the Global Economy Prize for Business by the Kiel Institute for the World Economy in Germany. She has been called "an institution in herself" by Chambers and Partners. Mergermarket ranked Mody's law firm as the most active Indian legal advisor by volume for 2013. In the first quarter of 2014, AZB & Partners has already helped facilitate deals worth over a billion dollars. She was earlier heading only banking operations of HSBC India. Today, she has a much larger role, heading HSBC's entire Indian operations, which include banking, insurance, asset management, securities, BPO, etc. Kidwai was also the first woman president of industry lobby group FICCI till December 2013. Under her leadership, the company reported a net profit of Rs 5,440 crore in FY14, up 12 per cent from the previous year. She is also among the highest paid women heads of a company with a compensation of Rs 7.16 crore during FY14. She is petite and soft-spoken, but her strong will and incisive mind helped transform her company from a regional (Indian) tractor maker to the world's third-largest (in volume). Under her stewardship, the ICICI Group crossed the Rs 10,000 crore net profit mark in 2013/14 and is clearly back on the growth path. 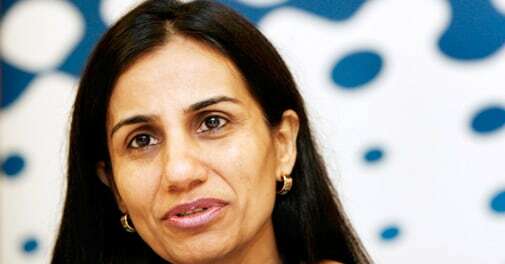 Now Kochhar, who has got a three-year extension, is not averse to inorganic growth. For this medical doctor by training, 2013/14 ended on a big high when Piramal Imaging received the approval of the European Commission and the USFDA for its Alzheimer's tracer, something Piramal feels "has never been done before in India". She was the MD until recently when her father Prathap C. Reddy announced new designations and roles for his four daughters. He has always maintained that his eldest daughter Preetha, 57, will be his successor. Though not a medical doctor like her father, what may work for Preetha is her approach to work with the doctors rather than leading them. She may have left Britannia Industries after a nine-year stint in March, but Bali continues to be a Board member on other Wadia Group companies - Bombay Dyeing and GoAir. As the head of Britannia Nutrition Foundation, Bali intends to spenda a lot of time working on the UN's nutrition programme. Besides heading the Indian operations of the leading US player in investment banking, asset management, treasury services, etc., Morparia is also a member of JPMorgan's New York-based global strategy team and the Asia Pacific Executive Committee. Her bank recorded a billion dollars in net profit for the first time in March 2014. Sharma has been taking big bets in retail as well as infrastructure. She has also managed to maintain good asset quality, with net NPAs at 0.40 per cent. Having led ICICI Venture for close to a decade, her maiden entrepreneurial investment venture, which was set up in 2009, is a reflection of her work life ethos: no shortcuts and no compromise of long-term prospects for quick wins. She led her company to a net profit of Rs 155 crore in FY14 against Rs 24 crore the year before. In July 2013, she won the Delhi Women of the Decade Achievers Award for her contribution to nation-building through the media. *Due to a typographical error, an earlier version of this profile had HDFC's net profit as Rs 544 crore.